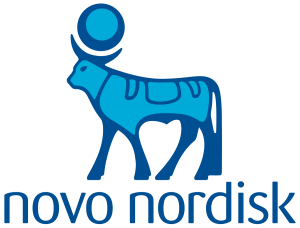 Novo Nordisk revealed more healthy sales figures yesterday for their third quarter results, aided by solid sales of their diabetes drug, Victoza, and its modern insulins. The company announced an 18% growth in sales to a total of 57.1 billion Danish kroner ($9.9 billion). Operating profit increased 34% to 21.9 billion kroner. Their net profit rose by 26% to 15.68 billion kroner and earnings per share increased 31% to 28.32 Danish kroner. Earnings before interest and tax in quarter three alone grew to 7.86 billion kroner from 5.61 billion kroner in quarter three of 2011. Q3 net profit increased by 35% to 5.67 billion kroner, easily exceeding the 5.27 billion kroner average prediction from analysts polled by Dow Jones Newswires/Factset. Novo Nordisk shares bordered around 1% higher to 938.50 in early trading. For the full year 2012 results, the organisation now anticipates sales growth in local currency of 10% to 12% (previously 9% to 12%), and operating profit growth in local currencies of 16% to 18% (previously around 15%). The business also released a preliminary outlook for 2013 with high single-digit growth in sales and operating profit in local currencies. Sales of diabetes care products grew by 22% to 44.42 billion when measured in Danish kroner, and by 15% in local currencies. Sales of modern insulins, human insulins and protein-related products grew by 16% to 35.54 billion kroner and by 9% measured in local currencies, with North America, International Operations and Region China achieving the largest growth rates. Novo Nordisk is the global leader with 49% of the total insulin market and 46% of the modern insulin market. Sales of Victoza jumped 74% to 6.69 billion kroner. Sales of modern insulins rose by 21% to 25.36 million Danish kroner. North America accounted for over half the growth, followed by International Operations and Region China. Sales of modern insulins now create 75% of Novo Nordisk‘s sales of insulin. Turnover in the biopharmaceutical division increased by 8% to 12.65 billion kroner, headed by NovoSeven at 6.51 billion kroner, and Norditropin at 4.24 billion kroner.